Preparation for all Sacraments is done through the Parish. Sacramental Preparation, although connected to our Catechism Program is not one and the same. Students must be enrolled in Catechism or a Catholic School and have met the minimum requirements of being in Grade 2 to opt for First Reconciliation and First Eucharist or being in Grade 7 (having completed Gr. 1-6 or equivalent) to opt for Confirmation. Additional sessions, gatherings, celebrations, etc. are required by all those who are Home schooled or those attending either Public or Catholic Schools and their Parent(s)/Caregiver(s). 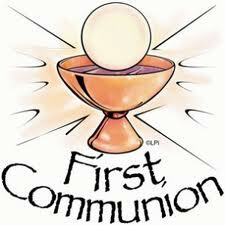 There will be a Parent's Meeting for First Reconciliation/Communion on Tuesday, September 25, 2018 at 6:00 p.m. in the parish hall. This is for all parents and children - including the St. Joseph Catholic School students. Children not attending St. Joseph Catholic School will meet every Tuesday beginning on October 2nd from 6:00 to 7:00 p.m.